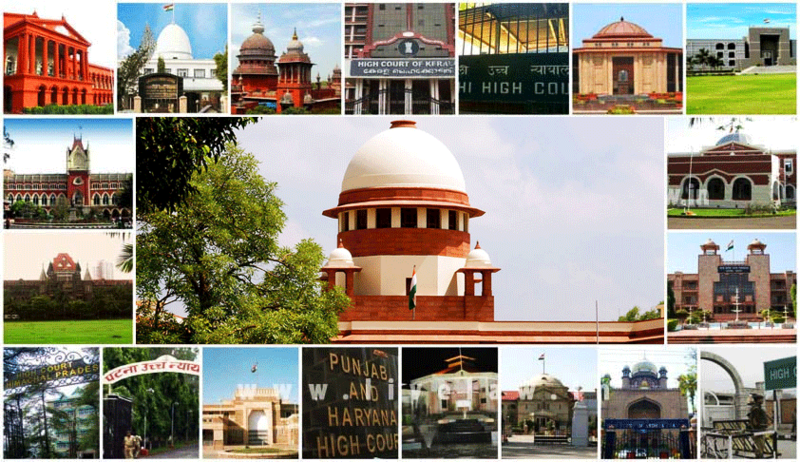 The Supreme Court collegium has recommended appointment of four Advocates and eight Judicial Officers as Judges of four High Courts. It further deferred the candidature of three Advocates- Bhargav Dhirenbhai Karia, Megha Bhupendra Jani, and Sangeeta Kamalsingh Vishen. Another Judicial Officer, Mr. Pranav B. Desai was not considered suitable for elevation, with the collegium noting that the proposal for his elevation was rejected by the Supreme Court collegium in March, 2010. Judicial Officer Mr. Pravinbhai Ranchhodbhai Patel was also not recommended, noting that he did not satisfy the maximum age limit of 58-1/2 years on the date of vacancy against which his name is being considered. Besides, the collegium noted that the proposal before it involved non-recommendation of three senior Judicial Officers. It, however, opined that it was in agreement with the reasons cited by the High Court for not recommending those Judicial Officers. The collegium also deferred candidature of three Advocates- Abhishek Kumar Sinha, Ashish Kumar Shrivastava, and Sunil Pillai. It further took note of the fact that the proposal before it involved non-recommendation of two senior Judicial Officers. It, however, opined that it was in agreement with the reasons cited by the High Court for not recommending those Judicial Officers. The collegium recommended elevation of Advocate Chetan S. Kapadia as a Judge of Bombay High Court. Mr. Kapadia's candidature had been deferred on 3 October, demanding information from the Chief Justice of the High Court on an Intervention Application filed by him. The CJ's report was now placed on record, and being satisfied with the contents thereof, the Court confirmed his elevation as a Judge. The collegium recommended elevation of Judicial Officer Ms. B. Sarodjiny Devy and Advocate B. Pugalendhi as Judges of Madras High Court. With regard to Ms. Devy, the Collegium noted that it had considered her candidature back in October last year as well, but had deferred the same noting that an inquiry was pending against her. However, the Collegium was informed in November, 2017 by the Chief Justice of the High Court that neither had any department enquiry been initiated against her, nor was one pending. Mr. Pugalendhi's candidature had also been deferred in December last year, in view of certain "adverse but unconfirmed inputs" received against him. The Chief Justice of the High Court had then submitted a detailed report on these comments. In view of such inputs in both the cases, the Collegium confirmed their elevation as High Court Judges.